Club officials yesterday confirmed that Wakefield Trinity legend Derek ‘Rocky’ Turner died last Friday, aged 82, following a lengthy illness. Turner was a record £8,000 signing from Oldham by Wakefield in March 1959. The Yorkshire and Great Britain representative went on to lead Trinity to seven trophies in five years, having already pocketed the Lancashire Cup three times and the 1957 Championship with Oldham. 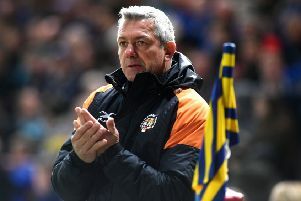 He went on to coach Castleford and Leeds after hanging up his boots in 1966 because of injury, but he returned to Wakefield as coach in the 1980s.